You must have already heard some rumors about Li-Fi. A technology that can provide internet through light waves. So, what do you think about it? It the concept real? or even practical? Does any such thing exists? And even if it is real what is the data transfer speed it can provide? Okay, I understand. There are a lot of questions and we are here to answer them all. Do you know that every one of the millions of light bulbs around the world could be used as wireless hotspot for electronic devices? Yes, the concept and technology both are real. The technology called Li-Fi Internet which is around 100 times faster than current Wi-Fi technology. Tests have already proved its efficiency. This is equivalent to downloading multiple HD movies in the blink of an eye. Li-Fi stands for light fidelity that is currently moving in trails in real world and achieving incredible faster speed when tested in Tallin. 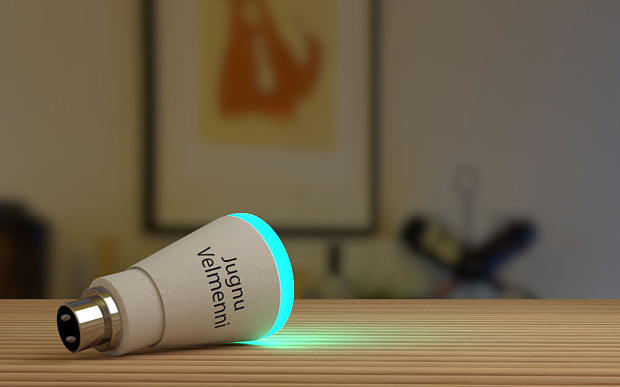 Though the technology has been developed a few years back but Li-Fi got into news when Estonian technology company Velmenni achieved a speed of 1Gbps in real-time office and industrial environment. Li-Fi stands for Light Fidelity which is a ground breaking light-based communication technology that makes use of light waves. It is a bidirectional high speed wireless communication technology just like Wi-Fi but measured to be 100 times faster than Wi-Fi technology that we are using since years. Li-Fi is faster because it makes use of light waves instead of radio waves for transmitting data. With this technology you would be able to access or download anything with the blink of your eye. We are using WiFi for past few years and we have already seen a number of drawbacks of this technology. As radio waves are used in WiFi and heavily regulated, so spotting data in lines becomes the major issue. The base station transmits radio waves but it only functions with 5% efficiency and rest and most of the energy is itself being used by it to cool the stations. 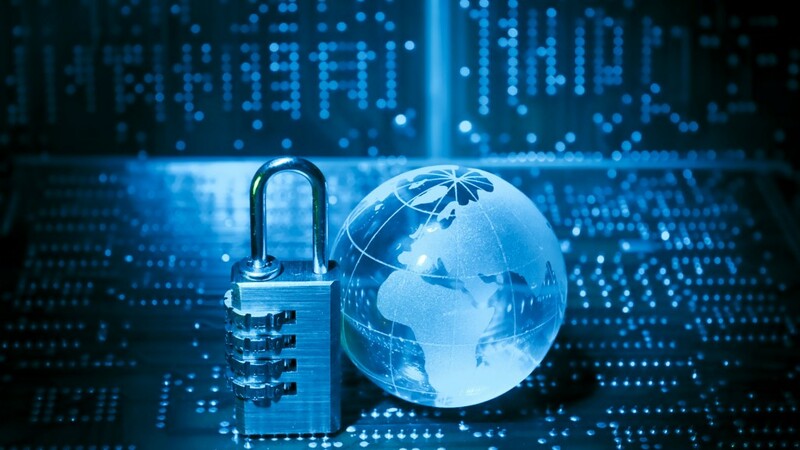 Security has always been an issue of concern with Wi-Fi when it comes to transmit sensitive data as radio waves travel through solid objects like walls, doors and more. Li-Fi was first introduced at the TED Conference in 2011 by German physicist Harald Hass at the University of Edinburgh. His vision statement says,” To be the world leader in Visible Light Communications Technology enabling ubiquitous, high-speed, secure data networks wherever there is illumination”. Now LED lights could be used for dual purpose, one for lighting and another in communication systems. Same bulb will provide you light as well as you would be able to use Internet through your smartphone. The visible light spectrum is free, unlicensed and plentiful. Li-Fi data is through light illumination. These LED light bulbs replace wireless routers and other electronic devices can be modulates at very high speed. It is efficient and economical as we already have a number of light bulbs installed in our homes and offices. 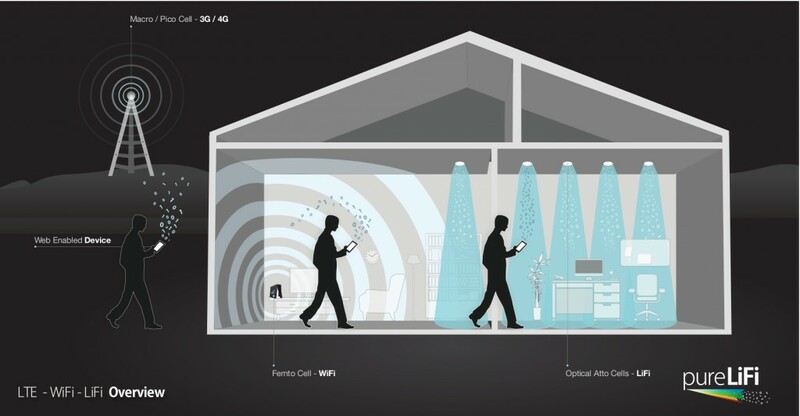 Since Li-Fi uses light waves for data transmission and light does not penetrates walls, so Li-Fi is a secured wireless connection but it will be only available to users available in the same room in which LED bulb is fitted. You know the availability of light bulb; it is used all over the world and will be used in future too. You can see light bulb everywhere in your home, workplace, restaurant, aircraft, village and through this you will get a potential source of high speed data transmission on your smartphone. There always exist good and bad side so this is same with Li-Fi too. There are a number of downsides that limits the use of Li-Fi. Since, Li-Fi makes uses of bulb so, if you are out going somewhere or relaxing in park, forest or any such place where you will not get any bulb then obviously you would not be able to take advantage of Li-Fi technology at that place. Light pollution is excessive use of artificial light and too much light pollution have its own consequences like it disrupts ecosystem, could have adverse health effects, inferences with astronomical research and also wastes energy. Lighting is responsible for almost one-fourth of electricity consumption all over the world. And if energy is wasted then it will result into cost and carbon footprint. Apart from these, we do not see other limitations for now. Li-Fi technology consists of light transmitters, light receivers that deploys wide range of communication scenarios. In future Li-Fi, technology will enable faster and more reliable Internet connection. Li-Fi will not replace any technology like 4G, LTE or 3G but will work seamlessly alongside them. Have anything to add to the story? Share with us in comments.